Thank you to the over 100 high school parents who participated in back to school night. Do not hesitate to contact the high school administration or teaching faculty if you have any follow-up questions. In addition, information provided below per some common questions directed at the high school office. Thank you to the parents for sharing your questions concerning the acceptable noise levels in the library. Responding to consistent feedback from middle and high school students and faculty about the lack of quiet study space, this year we are emphasizing that the library is a place for quiet productive activities. In addition, we have one large collaborative room for large team projects and two collaborative rooms for smaller group work. It is a difficult task to meet both the study environment preferences of our introverted and extroverted students. Parents interested in this topic are encouraged to read the dynamic book by Susan Cain, Quiet: The Power of Introverts in a World That Can't Stop Talking. The book is a dynamic dive into the difficulties facing educators in creating learning environments that take into account the diversity of our learners. Thank you to the high school counseling team for your continued work making the student lounge a fun place for students to engage in conversation, games, collaborative work, and relaxation. The lounge is located a short one minute walk from the MS/HS building to the admin building adjacent to the counseling center and English classrooms. There are also kitchen facilities available, a printer, a/c and plenty of tables and couches. There are lockers available to HS students on the top floor of the MS/HS building; locks are checked out in the high school office. Overall, most of the HS courses do not have textbooks checked out to students, so many students would not need to pack heavy textbooks around campus. The lockers are centrally located adjacent to the HS math, social studies, and science classrooms. HS students typically do not use the lockers provided these days, rather choosing to take a more college like approach where they move about campus with backpacks. Update regarding eating spaces while the high school building is still under renovation: Once the renovated high school is opened, there will be a large air-conditioned café on the third floor, including an open air eating space. Currently for grades 6-12 (all middle school and high school students) there is no large cafeteria where all students can eat together with air conditioning. However, there is adequate space for all MS/HS students to eat comfortably, even with air- conditioning, if students spend a few minutes walking to locations. - Finally, some students leave campus during lunch to eat at a local eatery. Overall, there are numerous options; however, some do require students to walk for 1-3 minutes. SKYWARD is the secured student information system used at CAC that also has a ‘Family Access’ portal for students and parents to view demographic and academic information. The grade book section of Family Access will allow students and parents to view student progress each fortnight, starting at 3:15pm every other Thursday (starting on September 13) till Sunday at 4pm. Teachers are available to speak to students face to face about progress and academic performance. Gradebook opening dates are: Sept 13, 27; Oct 11, 25; Nov 8, 19; Dec 6. During the weeks of September 16 – September 24, your child will take assessments called Measures of Academic Progress® (MAP®). All students in grade 3 – 9 participate in MAP. Three tests are taken: reading, mathematics, and language usage. Each division coordinates testing for their students to ensure minimal classroom disruption. At CAC, we administer the MAP in the fall and spring. We use MAP tests to provide additional information about your child’s instructional level and to provide one measure of academic growth throughout the school year, and from year to year. Your child will take the tests on a computer. MAP tests are informational; they are not a graded assessment. Teachers will use the information provided by MAP to support instructional needs for your child and the class as a whole. Fall scores are baselines for your child’s growth; growth will be determined after the spring tests that take place in May. It is important that your child approaches each test seriously, well rested, fed and focused. Nonetheless, it is not something about which your child should be overly stressed or worried. Following both testing periods, you will receive a report showing your child’s performance. Sept. 13 Skyward Gradebook Open, 3:15 p.m.
for an email from Ms. Barker for additional details about Saturday's session. This week, counselors visited 9th grade students during Study Hall periods to begin our Freshman Seminar series! Our first session focused on how the HS Counseling Office can support students in their transition from middle to high school and some of the other resources available, as well as emphasizing the benefits of getting involved in sports and activities and setting goals for the first year of high school. WHAT: Presentations on USA (including EA/ED), UK & UCAS, Canada, USA Financial Aid, and a Q& A with counselors and Seth Green from Pomona College, representing the US State Department. The counselors will run a variety of sessions so that students and parents can attend all the presentations that pertain to your individual university plans. The sessions will run conference style, where you will RSVP to attend certain presentations and move from room to room for each timed session. Light refreshments will be served. For now, save the date and we will send out the RSVP to sign up for the exact sessions soon! Please complete the online Student Information Forms through Skyward by Saturday, September 15. For instructions, please see the email sent to you previously from the Information Technology Department. Click here for the online tutorial. 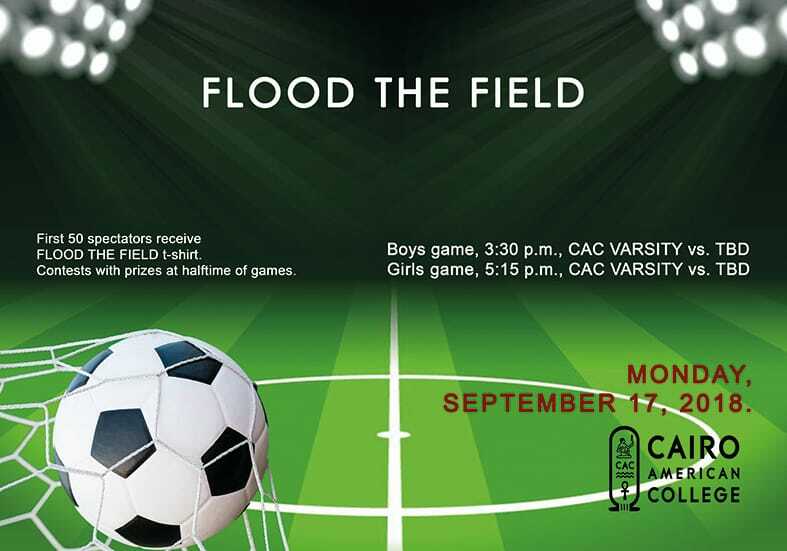 CAC soccer and STUCO bring you "Flood the Field!" Catch our Varsity soccer teams in action on Monday, September 17. The Boys' Varsity will play at 3:30, and the Girls' Varsity will play at 5:15. We’ll have extra seating, talented announcers, and soccer-themed competitions for the fans. Show your spirit and join the fun! On September 18-20, the CAC libraries will host a special visit from the author and illustrator of the book Stepping Stones. 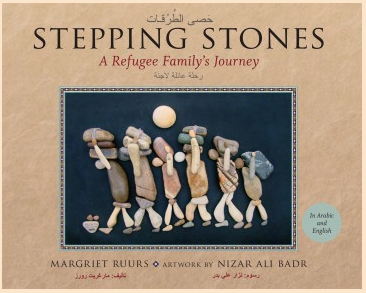 The author, Canadian children's book author Margriet Ruurs, and the illustrator, Syrian artist Nizar Ali Badr, collaborated to create this beautiful book which follows the voyage of a Syrian refugee family. They will meet in person for the very first time at CAC! Stay tuned for details. We are currently looking for volunteers to help with shelving and other clerical projects at both libraries. Please contact librarian@cacegypt.org if you would be interested in helping us out. Stay up to date with news and information from the MHS library by following us on social media. Please use this link to join our new Facebook group page! It's an easy way to keep up with the latest Spirit news. https://www.facebook.com/groups/2135733356686475/. We have new CAC Athletics tank tops and muscle shirts for sale! Stop by during our regular opening hours, Sunday-Thursday7:45-10am, 11:00am-12:30pm, and 2:30-4:00pm. Our popular snacks are for sale every Thursday by the gym entrance from 3:15-4:45pm. Come look for our treats at Flood the Field, Monday Sept. 17th. Go Eagles! Pizza day is Monday, Sept 17th!!! Other pizza days in October are the 1st, 15th, and 29th. 1 slice for 30le, 2 for 40le, 3 for 50le. Includes juice or milk + cookie. Extra cookie, juice, or slice is 7le. Kids use their bracelet to purchase. Prices increased this year due to vendor costs doubling. Sun, Sept 16th—Parent Trip: Tour of Maadi’s Highlights and Hidden Gems. Almost Full!! For more info and to sign up: http://whoozin.com/QKV-R4N-6PQV. We will leave from CAC back gate promptly at 8:30 return by 2pm. We will be exploring Rd 233 & Rd 9 as well as highlighting many shops and restaurants along the way. Questions? Contact Jean Wood at jeanwood261@icloud.com. Tues, Sept 25th—Book Club meeting at Osana Family Wellness at 1 pm. 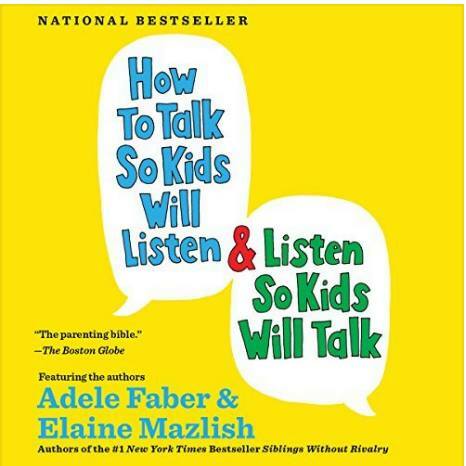 Our first book is "How to Talk so Kids Will Listen, and Listen so Kids will Talk" by Adele Faber & Elaine Mazlish. To find the books please call Diwan Bookstores to pre-order & check availability. All are also available on audio books. Non CAC parents are welcome as well. This is an informal book club, having read the book is not an attendence requirement. *Help plan the Halloween Carnival on Oct 25th—contact Jennifer Tyler at Jennifertyler07@gmail.com.